Posted on January 30, 2017 by Tish Farrell	This entry was posted in anthropology, Heritage and tagged baobab, DP weekly photo challenge, handicraft, Kenya, kiondo, repurposing, Tish Farrell Writer. Bookmark the permalink. Super post as usual, Tish. 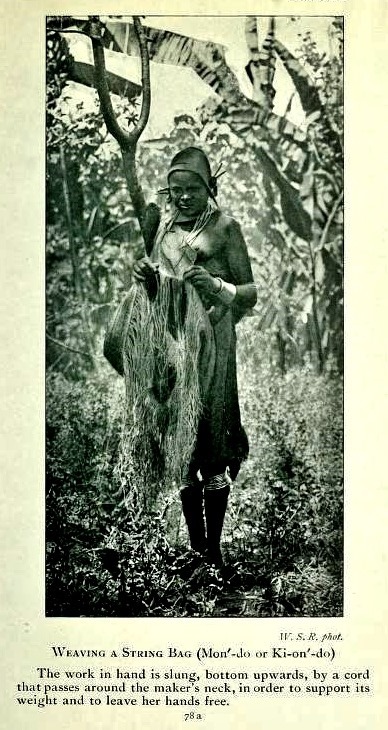 I knew the bark was fibrous, but I had no idea it was the basis for those lovely Kenyan bags. Is the baobab in your photo in leaf, or is a parasitic creeper providing the greenery? We used to prescribe a preparation made from the seeds within the baobab fruit as oral rehydration solution for infants with diarrhoea. I seem to remember that it was packed with vitamin C.
In Zambia, I saw images that people had carved into the bark. In Botswana, I saw footholds hacked into the bark to allow swift ascent into the branches by bushmen (to get to water held within the trunk or just for a better view of the surroundings?). Baobabs are all round wonders aren’t they. All that cream of tartar type stuff round the seeds is used in traditional medicine for fevers, and for brewing I think. 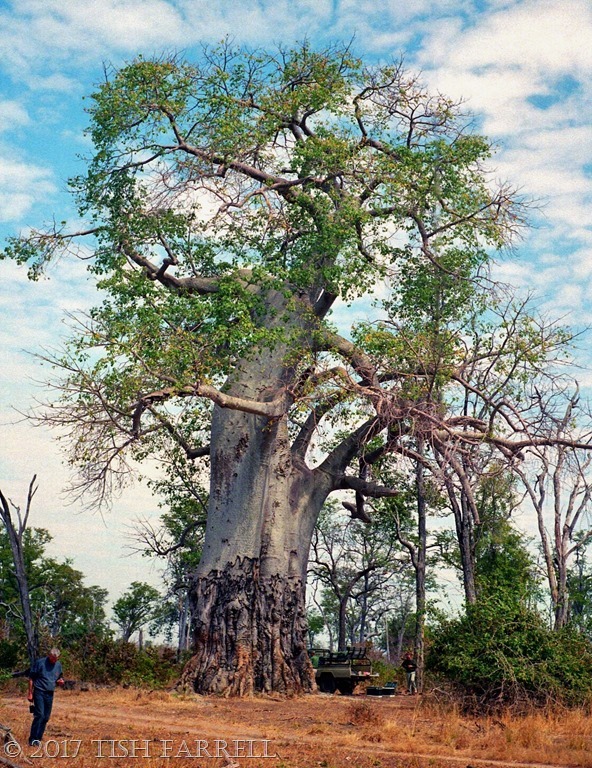 The baobab in the pic does seem to be in leaf – a rare event I know. The photo was taken in South Luangwa – easter time – also with footholds, though unfortunately for elephant poachers to use as a look-out post..
You wouldn’t believe how many African baskets I have, including one very much like the one you show. You know what? I haven’t used any of the baskets on the table. You’ve just given me an idea! Ah ha! Look forward to seeing what you come up with. An all round fascinating post….your last paragraph was most powerful in content. 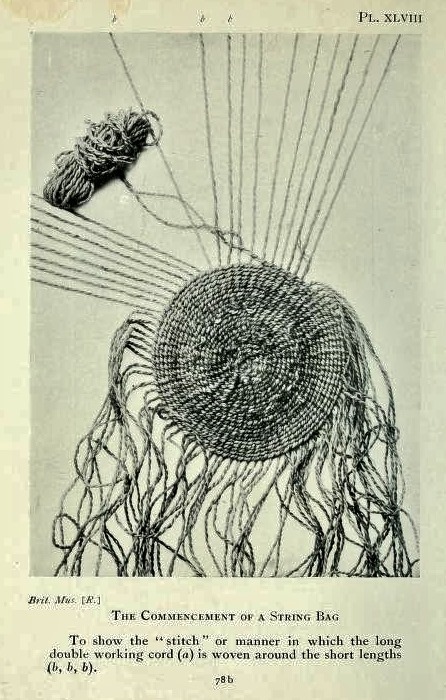 The early photographs of the bag in progress hanging from the young woman’s neck is really amazing. I had no idea whatsoever that these bags were made in this manner. Thank you. Glad you liked this, Janet. I agree very much with you on what you said at the end of the post about nurturing and exercising the creative intelligence and powers of visualisation. Thanks, Eleazar. I think we truly need the hand, eye, brain, raw material connection in our lives. I think it was a key part of our evolution as humans.Also the aesthetic qualities lift the spirits – living creatively any way we can. …it sounds incredible in our technological era, having to do with products carried out through such an antique art…! Really love your entry ! look and lots of charm. Great post, Tish. 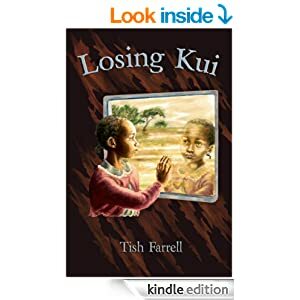 So very interesting Trish, glad you shared that knowledge and photos. All handmade items made from natural materials are just so lovely to have, use and treasure. I love those bags and didn’t know they were made from baobob fibre. Thanks. I learned something today. That’s a beautiful bag, and your baobab tree is a fine specimen! They are my favourite tree, majestic in their ugliness! As always, I’ve learned something new from you Tish. The bag is beautiful, and all the more so for being crafted within a tradition that works with nature and involves meaningful labour. The Big T and I are both pretty practical, and prefer to make and re-purpose what we need; skills we learned from our parents. But despite our best efforts, the boy-child seems reluctant to learn practical skills (beyond cooking … but he does love food). BTW: have you seen this article http://proof.nationalgeographic.com/2016/03/24/these-ancient-trees-have-stories-to-tell/? I was sent the link yesterday, and having scarcely ever thought about baobab trees, my attention is drawn to them twice in 24 hours. The other photos are magnificent too. That’s brilliant!!! I love that he is preserving and enhancing books which in my mind are objects of inherent beauty. I have a friend who actually manages to eke a living out of hand-made books (making and teaching the skills), and another whose partner has restored a couple of old printing presses which they use to print her books and prints of her drawings. Baobabs are such wonderful trees. I love bags like that. Down here in Devon there’s a lovely man, The African Chef, who makes baobab jam, a really unusual flavour. He’s here on my blog somewhere! Oh yes, I read about him. I think my sister sells some of his stuff in her shop. I am always in awe of this kind of work. And in awe that someone, or a group of people, ever figured out it’s possible to make string from the bark of a baobab tree, and then to weave the string into useful articles. Loved this post Tish. Hello Alison. Thanks for your interest in this. 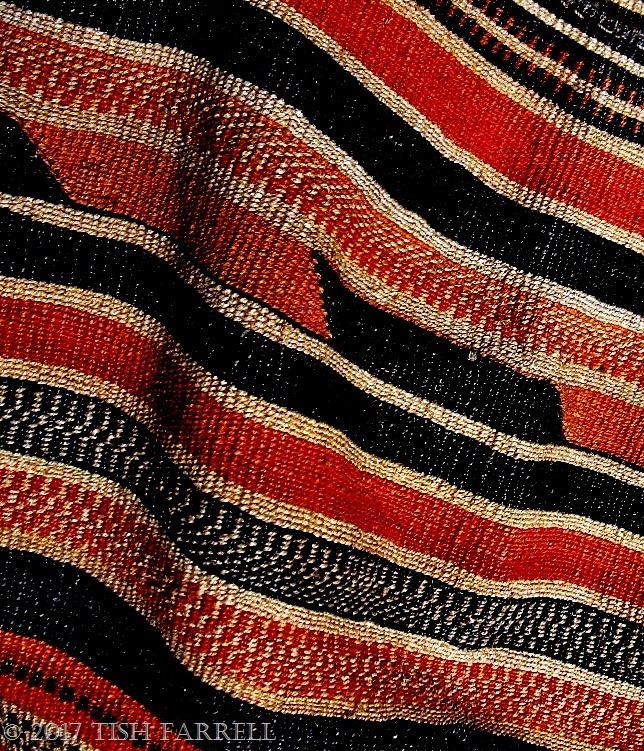 Besides string, and before colonial imports of cotton, many cultures in Africa, and doubtless elsewhere, made the most amazing bark cloth for clothing, mostly from wild fig trees I think. It was then painted with natural dyes. The cloth was made by hammering and hammering the bark fibres. I know that colonial authorities eg in Northern Rhodesia, now Zambia, banned its production – so as not compete with cotton imports. All sorts of ironies in that given the historical origins of mass produced cotton and the earlier slave trade. Profound comments: those beautiful baskets would be beyond the capacity of all of us, because there is no longer the necessity or the tradition. Reclaiming the tradition isn’t quite the same as needing it. You’re right. Reclaiming doesn’t really fit – and for all sorts of reasons. 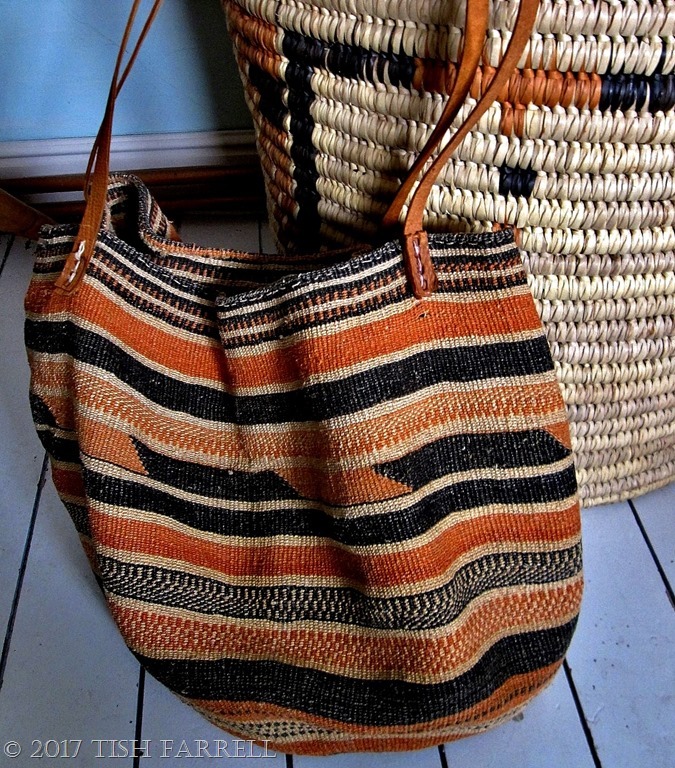 Of course Kenyan mamas mostly use sisal now to make their bags. They presumably buy the string ready processed. Besides, you can see very well why no one would want to chew all that tree fibre if there was something easier to use. Fascinating. I had no idea the baobab tree was used in this way. How am I just seeing this today? I had no idea! Super share and interpretation, Tish. 🙂 I’d better get the crochet hook out and see if the withering brain can remember some old skills. Just been and had some shiatsu for the arm, which strangely has made me want to go to sleep. You take care too.